The legendary skin will also accompany a completely visual upgrade of Nasus. Nasus, one of the oldest League of Legends champions is finally getting some love from developer Riot Games, which has announced a brand new legendary skin for the Curator of the Sands. The skin's release will also coincide with the Nasus visual upgrade, which will take all of those old Nasus textures and bring them up to the same standard of recently released champions. 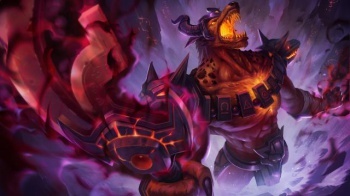 "With fiery new particles, shadow effects and animations including a unique second form during his ultimate, Infernal Nasus is the new, darker legendary skin for the Curator of the Sands." This "legendary" tier of skins is different from the "ultimate" tier, which we saw most recently with Spirit Guard Udyr. 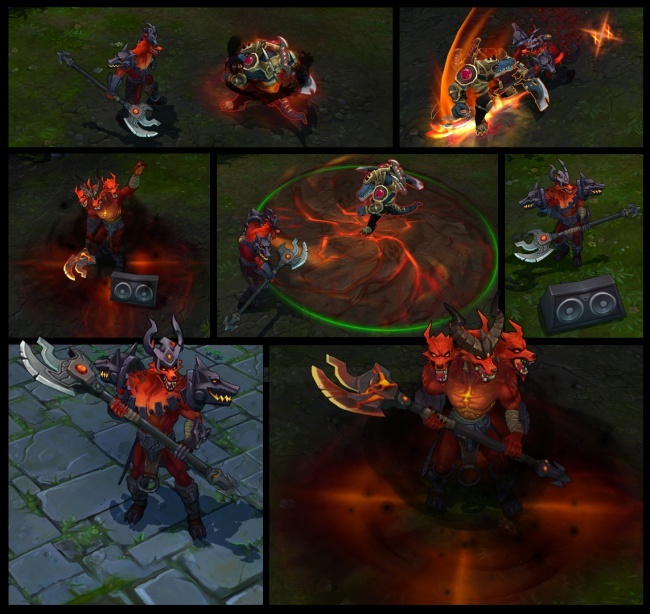 The Nasus visual upgrade that Infernal Nasus' release will accompany takes the base Nasus model, as well as all of his previously released skins, and gives them a full overhaul. When you consider League of Legends was first released back in 2009, you can understand that Nasus, who was one of the original 40 champions, is looking quite a bit rough around the edges. As usual, there's no concrete date as to when Nasus' new toys will go live, but we can probably assume they will be released with the next patch.